It is well known that alcohol use disorder is quite prevalent and can have significant negative impact on the lives of those with this disease. Past research and treatment have focused primarily on the challenges facing individuals with alcohol use disorders and on accessing supports to aid in the individuals’ recovery. There is growing evidence, however, that alcohol use disorder is much better understood within a family and relationship context. In this training, you will learn about the impact that alcohol use disorder has on families, the family dynamics that can contribute to it, and the abundant research that indicates that family interventions can play a significant role in recovery. Employing a combination of comparative research, experiential exercises, and self-study, this course provides a foundation for addressing alcohol use disorder in the context of the family rather than focusing on individual therapy or self-help groups. 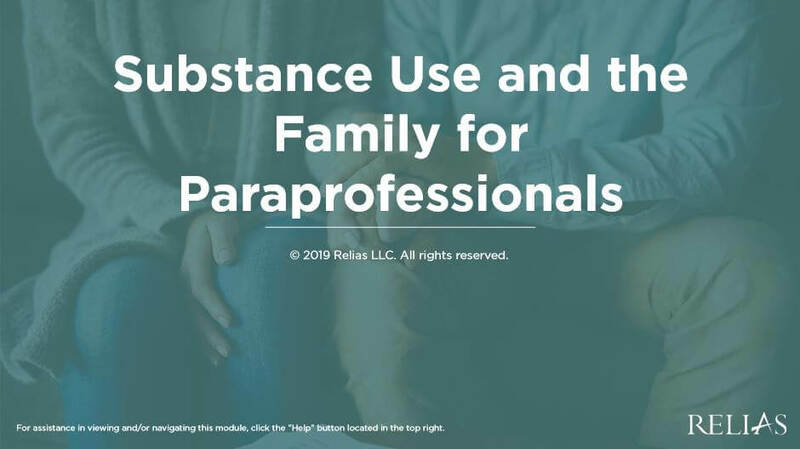 This training is appropriate for paraprofessionals who want to expand their understanding of alcohol use disorder in a family context. Explain a family systems perspective of alcohol use disorders. Describe family factors that increase or reduce risk of developing an alcohol use disorder as well as family problems that may result from an alcohol use disorder. Discuss recent research concerning the relationship between family factors and recovery. Instructor - Carl Fornoff Ph.D.